Hi. Happy Friday! Today is all about Words with Friends. I don’t play the online game, but my husband does. 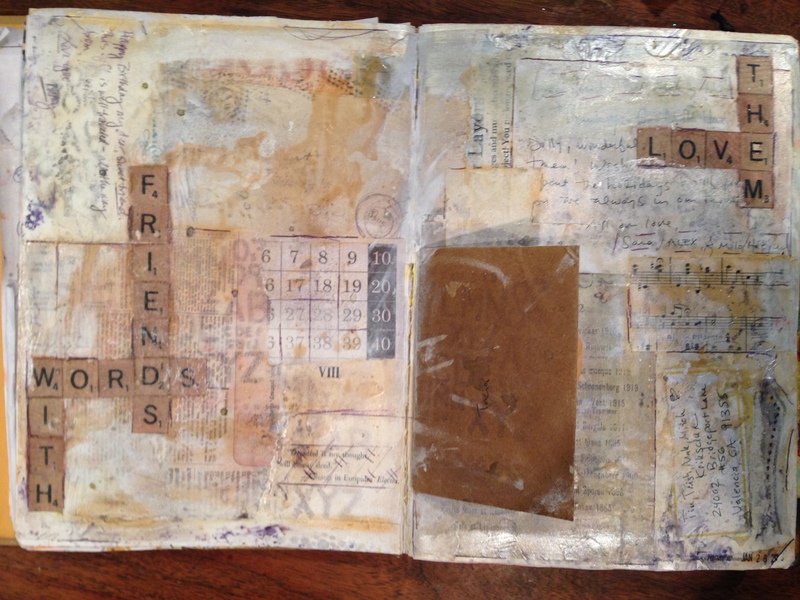 I play the old school Scrabble game so I found this Document Life 2015 art journal challenge to be great fun. 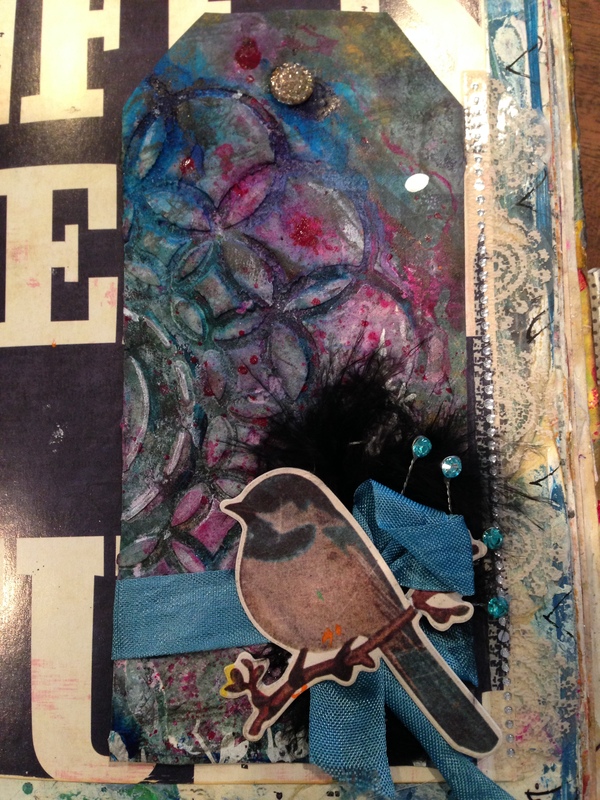 It is a mixed media art journal page filled with love and happy memories. I created a collage from various notes, cards, letters and envelopes from friends and family. With the notes I included some other ephemera like a vintage bingo card and some other graphic text. I also included a middle insertion–an envelope that has a favorite note from a friend. After I collaged down the various ephemera I added a layer of gesso and some glimmer mist transparent shimmer color– just to add some shimmer. I also stenciled alphabet letters in various places with Glimmer Mist grey. After both were dry I added some Distress Ink in Vintage Photo. I let the distress ink meander its way through the lows of the collage. I then made copies of Scrabble tiles. I would have loved to use the actual tiles but since this is a piece in my art journal I wanted it to remain fairly flat. A girl has to pick where to add dimension if she wants to ever shut her art journal.